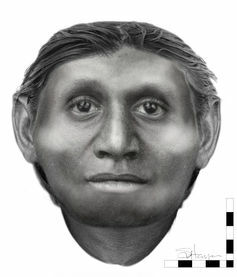 An Australian anthropologist has used forensic facial reconstruction techniques to show, for the first time, how the mysterious Flores 'hobbit' might have once looked. 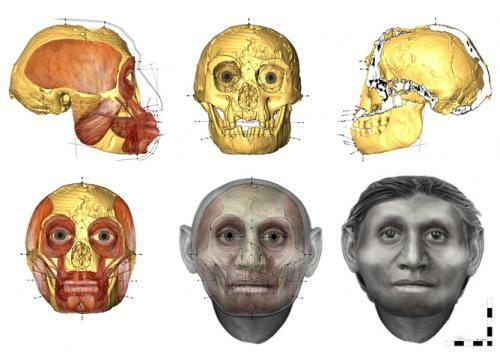 Homo floresiensis, as the hobbit is officially known, caused a storm of controversy when it was discovered in Flores, Indonesia in 2003. Some argued the hobbit was an entirely new species, while others suggested it may have simply been a diseased specimen of an existing human species. Using techniques she has previously applied to help police solve crimes, Honorary Senior Research Fellow at the University of Wollongong and specialist facial anthropologist, Dr Susan Hayes, moulded muscle and fat around a model of the hobbit's skull to flesh out her face. The results show a suprisingly familiar face, with high cheekbones, long ears and a broad nose. "She's not what you'd call pretty, but she is definitely distinctive," Dr Hayes said in a statement. "She's taken me a bit longer than I'd anticipated, has caused more than a few headaches along the way, but I'm pleased with both the methodological development and the final results." Darren Curnoe, a human evolution specialist at the University of New South Wales, said the face looked more modern than he expected. "The bones are really quite primitive looking and look a bit like pre-humans that lived two or three million years ago but this new construction looks, to me, surprisingly modern," he said. "I think it's really interesting to see a new approach founded in forensic science and it can actually progress the ways we can understand what Homo floresiensis looked like. What we have seen, until now, have been artistic interpretations, very beautiful ones, but I think this really takes it to a new level and gives us a more scientific and accurate view of what the hobbit looked like." Dr Curnoe said that now the majority of researchers accepted that the hobbit was unique and not a diseased human. "But precisely where it fits in the human evolutionary tree is still to be determined." Source: The Conversation This story is published courtesy of the The Conversation (under Creative Commons-Attribution/No derivatives).